BIUTIFUL’s Alejandro Gonzalez Inarritu Attached to Direct THE REVENANT for Warner Bros.
Three-time Oscar nominee Alejandro Gonzalez Inarritu isn’t exactly a director known for picking up studio work for hire. He’s not the type of guy who takes meetings to discuss the latest board game adaptation. No, Inarritu is an intensely personal filmmaker responsible for such dark, punishing dramas as Amores Perros, Babel, and Biutiful. All of his work to date has been crafted by Inarritu from the screenplay up with a group of regular collaborators. That’s why it’s odd to hear that he’s signed on to direct a film for Warner Brothers based on a pre-existing property. 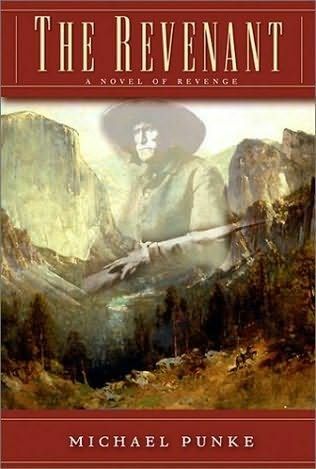 The filmmaker is officially attached to an adaptation of Michael Punke’s novel The Revenant: A Novel Of Revenge. Fortunately fans of the filmmaker’s difficult, but often enthralling work needn’t be concerned. This won’t be some sort of Hollywood sell out movie. The material is right up Inarritu’s twisted little alley. Hit the jump for more info on the upcoming adaptation. According to The Wrap, Alejandro Gonzalez Inarritu may have his first major studio project lined up, which didn’t even seem like a possibility before now. That said, even if The Revenant qualifies as the director’s first studio picture, if the film is true to the novel it certainly won’t feel like a Hollywood movie. Michael Punke’s The Revenant tells the tale of a 19th century fur trapper who is mauled by a bear and left with injuries so sever it appears he will die instantly. The captain of the ship he serves on tries to carry him back to civilization, but when the hash terrain makes that impossible he hires two men to stay behind and bury him after his inevitable death. The two men decide not to bother with all that and instead rob him and leave him for dead. However, the protagonist doesn’t slip away that easily. He survives against all odds and sets out on a 3,000-mile trek to seek revenge against his betrayers. The material seems pretty well suited to Inarritu, who thrives when telling stories about characters pushed to rock bottom. 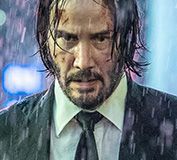 It’s hard to imagine any character enduring more hardships than the lead of this film and a bloody revenge climax is just the thing to make this project a little more palatable than the director’s previous tales of misery. Admittedly the material does sound a little out there for a major studio. Let’s not forget that this is a western and Disney just cancelled a Lone Ranger movie starring Johnny Depp because they questioned whether or not the genre is still all that bankable. However, Inarritu is used to working with low budgets and aside from the difficult location shooting the project is fairly minimal in scale, mostly consisting of a man alone in the wilderness. Provided that the director can lock up a name actor in the lead role (which shouldn’t be a challenge given the multiple Academy Award nominated performances that he’s gotten out of his actors in the past), the movie could very well start shooting sometime this year. As mentioned earlier, Inarritu has been nominated for a slew of awards over the years, but his films have never reached much of an audience because they can be so emotionally draining. The Revenant certainly won’t be an easy watch, but at least it will feel similar to established genres like survivalist horror and the western. • Alejandro Gonzalez Inarritu • Entertainment • Mark L. Smith • Michael Punke • Movie • The Revenant • Warner Bros.